Is it the Reliability Department’s Responsibility to Determine the Cost of Downtime? This question came up during one of our most recent webinars and we thought it raised a very interesting point. Joel Smeby is an experienced reliability engineer who leads our North American engineering team and has helped implement reliability initiatives in many different organizations across a variety of industries. Reliability is typically not directly responsible for production. But when you look at all of the different areas within an organization (purchasing, spare parts, warehouse, operations, maintenance, safety), Reliability is the one area that should stand across all of them. The organizational structure may not necessarily be set up in that way, but in terms of being able to talk to people in maintenance, operations, or purchasing and leverage all of that information into a detailed analysis and then make decisions at that level – I think it is Reliability that needs to do that. I recently worked on a site and went to the operations department to validate their cost of downtime and they weren’t able to give us a solid number. It changed from day to day or week to week and from an organizational perspective it’s very difficult to make decisions based on data when you haven’t defined that number. As Reliability Engineers we need that downtime number to justify holding spare parts or performing preventive/predictive maintenance tasks. If Operations has not defined that then I think that a Reliability Engineer is the perfect person to facilitate that discussion. It can sometimes be a difficult conversation to have, especially if you’re gathering the information from people in upper management. One strategy is to help people understand why you’re gathering that information and how it will be used. Justifying maintenance and reliability decisions is all about balancing the cost of performing maintenance against the cost of downtime in order to get the lowest overall cost of ownership. The managers who have a budget responsibility that includes both maintenance and operations will typically appreciate this approach in finding the lowest cost to the organization. Some organizations are able to determine the cost of downtime as a $/hour. This is done in the most basic sense by taking the annual profit that the equipment is responsible for and dividing by the number of hours the equipment runs each year (8,760 hours for continuous operation). A deeper level of analysis may be required in more complex operations such as batch processes. The traditional view of a maintenance strategy is that the level of effort put in to preventing a failure is dependent on the type and size of equipment. The reliability based approach understands the cost of downtime, and therefore the equipment’s importance. This enables the maintenance strategy to be optimized to the overall lowest cost for the organization. Join the conversation in our reliability discussion group on LinkedIn. As its name suggests, an “asset” is a useful or valuable thing. Indeed, the antonym of “asset” is “liability”. Hence, an organization’s assets should deliver value; not cost money. With the right techniques and strategies in place, asset managers can ensure that their plant and equipment is performing at and being maintained at optimum levels. These many and varied techniques can be applied across the different phases of an asset’s life to ensure that, instead of draining money from the bottom line, it actively contributes to margin increases. Once you determine a key focus area, it’s important to apply the right technique. The primary objective of System Analysis is to identify and eliminate bottlenecks in a system, and is particularly useful in complex operations where the contribution of different parts of the system are not clear. An analyst performing System Analysis builds a representative model using reliability block diagrams, and runs a simulation to produce a quantitative view of the contribution of all parts of a system. The technique is used to assess the reliability of individual components and their dependencies on other events or assets in order to assess the overall availability of the system. This helps to determine the importance of each element, so that the analyst can play “what if” with different levels of redundancy, size of buffers, maintenance strategies, and spares holding levels, in order to find the optimum. Unfortunately, there has been a long tradition of organizations fostering a culture of maintenance in which the maintenance crews are lauded as heroes when they step in to fix things that are broken. In such cultures, preventative maintenance is less appreciated, despite it being proven to save money. Maintenance Benefit Analysis – similar to Maintenance Optimization– is used to evaluate a maintenance plan and identify any areas where maintenance is either not needed or is not optimal. A Maintenance Benefit Analysis is used to identify where alternatives to current practice can be improved by choosing a different type of strategy or frequency. 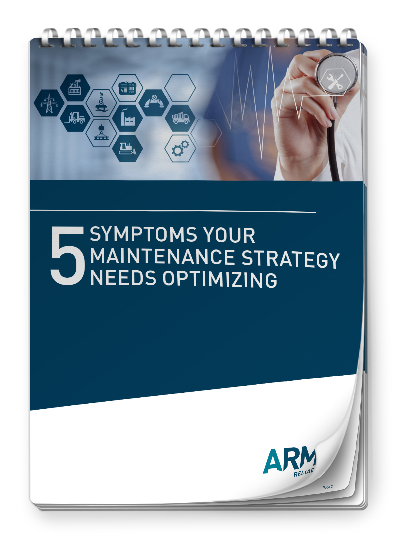 Typically, maintenance crews love spares and want lots of them in their plant or facility. Yet plant managers resent having too many spares in stock as they tie up capital and take up storage space. Spares Optimization is all about finding the optimum level of spares to hold; a level that balances the cost of not having spares available against the cost of holding the spares in stock. Knowing when to replace a piece of equipment shouldn’t be guesswork, as the right time to replace can save hundreds of thousands of dollars in repairs. Repair vs Replace Analysis is used to predict or track the costs of repairs against the cost of replacement. As the cost of repairs increases (which incorporates costs like labor and parts), it becomes less viable to maintain the asset. Plus, as the cost of new equipment falls, it becomes more viable to buy it new. Life Cycle Cost analysis can be applied to assess the optimum point to switch from repair-mode to replace-mode. 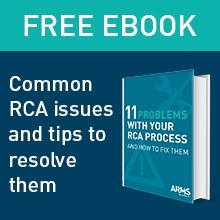 ARMS Reliability can show you how to achieve great cost savings and margin increases across the whole organization by using these techniques and their associated software tools; and will train your team to implement and manage these changes proactively.